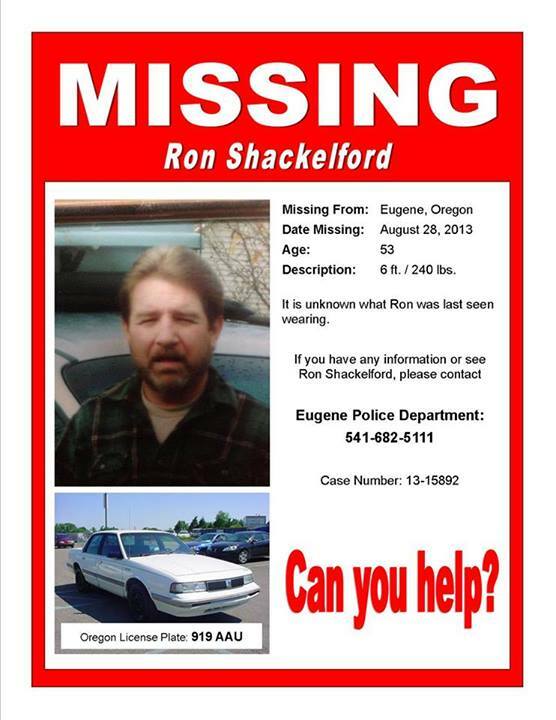 UPDATE: 9/2/13 – A post was left on Ron’s missing page, “FROM: Survival Betty —– UPDATE —– My brother in law has been LOCATED! He has been in a car crash in southern Oregon and we are on our way to see him. He will be fine and we are so blessed to know what is happening. Thank you ALL for of the positive thoughts and prayers, shares and cares along the way. Love you all. I've known n this man for many years. He's a good person and I know his boys miss him very much. I've sent the word out amongst my friends all over Oregon, California and Washington. I hope he is safe.